Led by the University of Plymouth and in partnership with Cornwall Innovation, ATI facilitates Pop-up Innovation Centres which take the services and support of the Innovation Centres out into the wider business community. Their Pop-Up Innovation Centres take the services and support, offered by the Cornwall Innovation Centres, out to the wider business community. 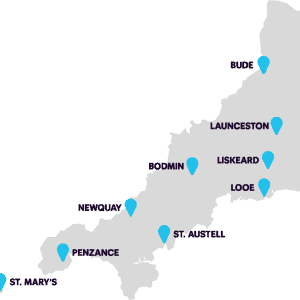 The centres are designed to help innovative businesses in those harder to reach areas of Cornwall (and the Isles of Scilly), who are geographically located outside easy driving distance of the Cornwall Innovation Centres. ATI have already visited Liskeard, Bodmin, Launceston, St Austell and Newquay. Each region’s dedicated Business Innovation Advisor can still meet within these areas so get in touch with ATI to find out more. The Pop-Up Innovation Centres are a fully-funded service for all small-to-medium enterprises (SMEs) located within Cornwall. ATI encourage local businesses to get in touch, or pop in, and speak to us about how we can support you. Click here to find out more about the latest ATI Pop-Up Innovation Centre or click here to visit ATI’s website.